In this picture book for older readers, the author remembers growing up in the American midwest, in rural Indiana, at a time when there were few other Chinese families around. When she sees her Chinese cousins in Chicago, they have Chinese lessons, time to play, and lots of dumplings. While driving from Indiana to Chicago, they discover a farmer growing soybeans, a food they dearly missed from China. They are thrilled and a tradition is born. They pick soybeans from the befuddled farmer (at the time soybeans were grown only for pig feed) and take them home for their family's first soybean picnic. Over the years, the soybean picnic becomes an annual affair, with more and more Chinese families invited to share the treat. Soon the event grew so big it had to be held at a city park. 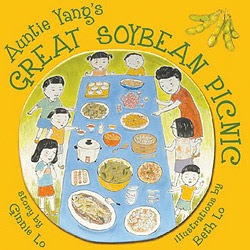 An author and illustrator's note tells more about the author's family, and the tradition of the soybean picnic. 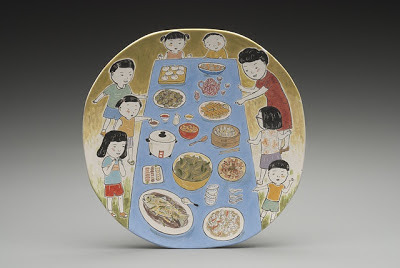 The narrative is illustrated with charming paintings done on handmade porcelain plates, which were then fired. A heartwarming story about immigrant families adapting their culture in a new country. 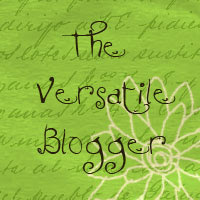 Your post is cut off on my screen, FYI.